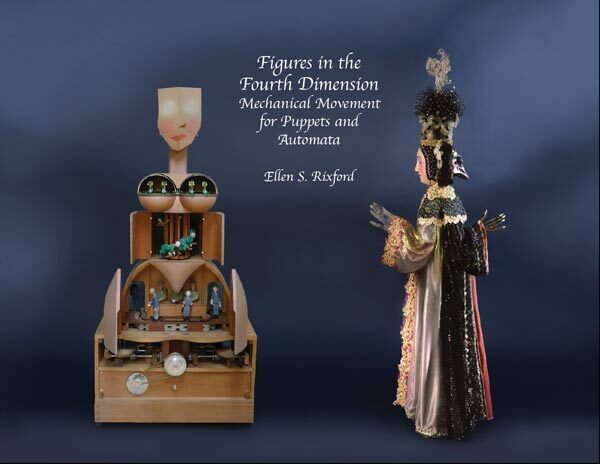 I think that many of your readers will be interested to learn that there is an exhaustive, 512 page hardcover publication just released: Figures in the Fourth Dimension authored by Ellen Rixford. Over the past 3-4 years the Morris Museum participated in the creation of this book, focusing mainly on the 19th century automata chapter. Throughout the book, the author explains in extraordinary detail how the internal mechanisms of mechanical puppets, marionettes and automata were and are today designed and created. Every cam, lever & linkage is revealed in detailed photographs, exploded view illustrations, and full mechanical descriptions. For any technician, restorer, conservator or contemporary automata or puppetry artist/builder, this reference piece will be required reading. That's high praise from a very knowledgeable source folks! This book is now available in the Morris Museum Shop and can no be ordered through our Museum Shop webpage (http://www.morrismuseum.org/museum-shop), or directly from the author’s website (http://www.figuresinthefourthdimension.com/html/Automata-clockwork.html).